In a dinner rut? Here are 7 easy and flavorful plant-based meals to get you through the week ahead! This dish is full of warming spices like cinnamon, cumin and chili. 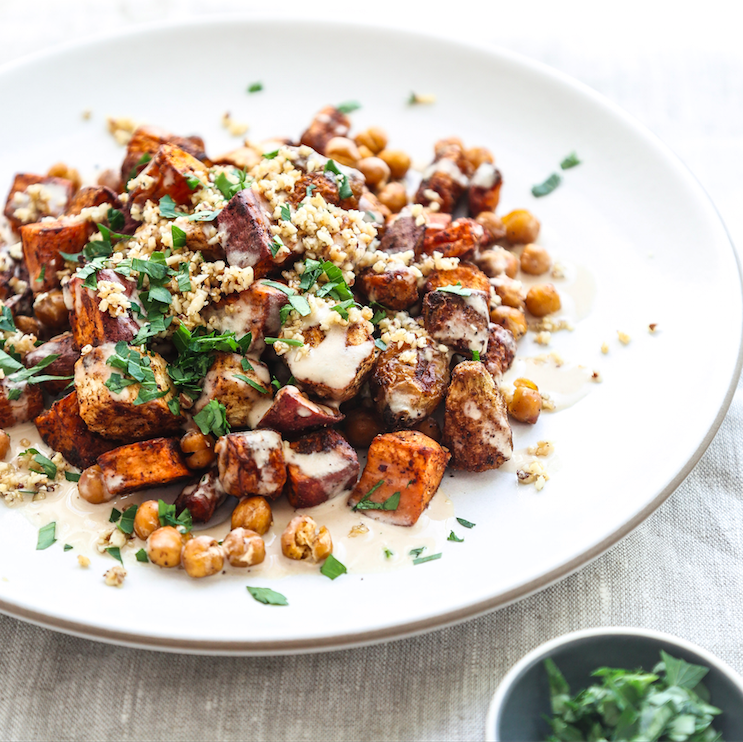 Double up on the roasted vegetables and chickpeas here so you can use them on Tuesday to fill your tacos, and make extra tahini sauce to use later in the week. Since you need to half cashews on hand for a few other dishes this week, swap cashews in for the brazil nuts called for in the recipe. Feedfeed Tip This dish is served topped with a take on 'Pangritata' which was a budget friendly replacement for parmesan cheese in many classic Italian dishes. It's make from a mix of leftover bread, garlic and herbs which is fried in olive oil. Pangritata is a great way to add flavor and texture to vegan dishes! Cashews and white beans give this soup its creaminess. Serve with your choice of bread to bulk up the meal. This is a small batch of soup (as written it will serve 2 people), so we suggest doubling it, which we accounted for in the ingredient list. 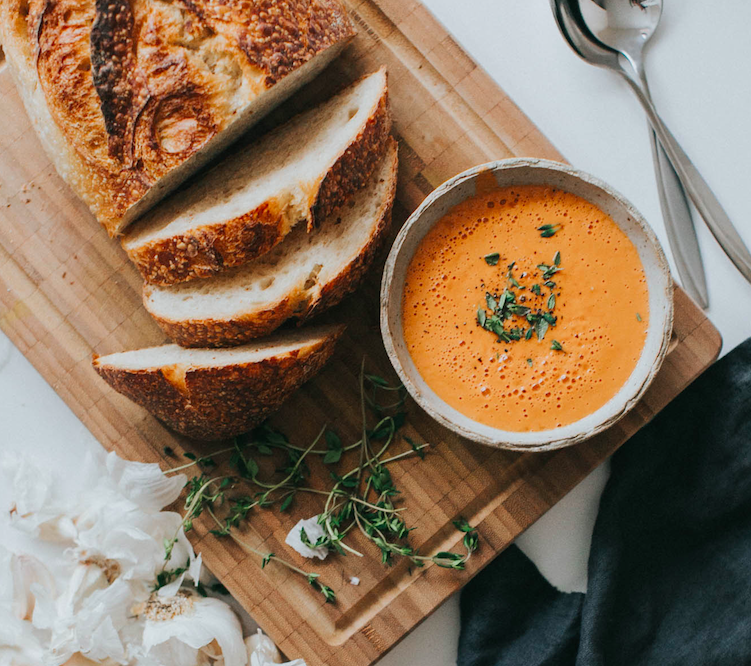 Feedfeed Tip When blending soup, always be sure to let it cool slightly before processing as it will expand. To protect yourself, cover the top of the blender with a thick kitchen towel in case of any splatters. 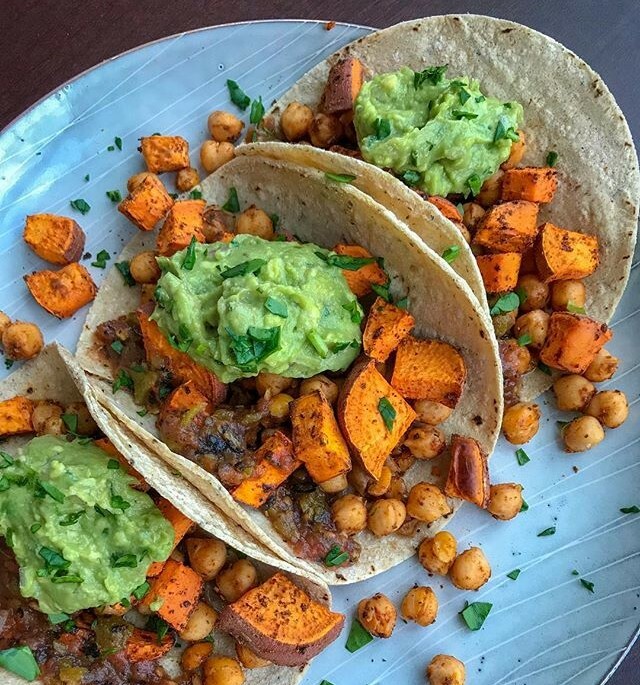 Take out the extra roasted vegetables and chickpeas from the other night, heat up some tortillas (corn or flour! ), and top these veggie filled tacos with avocado, salsa and fresh lime juice! 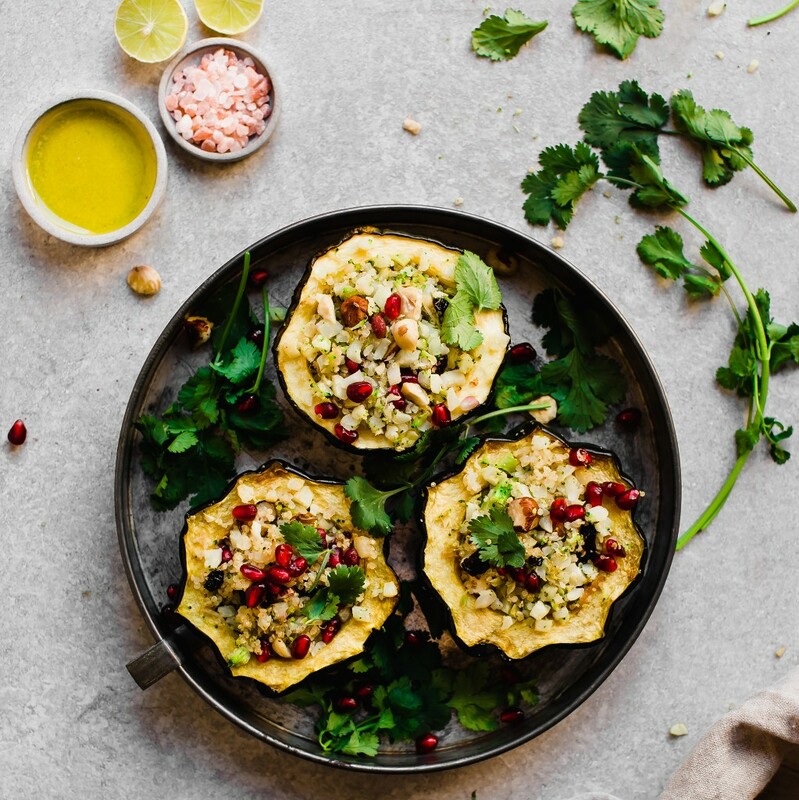 Acorn squash work well as a vessel for stuffing, but you could use any winter squash like delicata, sweet dumpling or butternut. Feedfeed Tip To quickly and easily remove the arils from a pomegranate, fill a large bowl with cold water. Cut the fruit in half and working with your hands and the fruit submerged in the water, use your fingers to dislodge the arils from the pomegranate. When all of the arils have been removed, jostle them with your hands to remove any white membrane. It should float to the top so you can easily discard it. 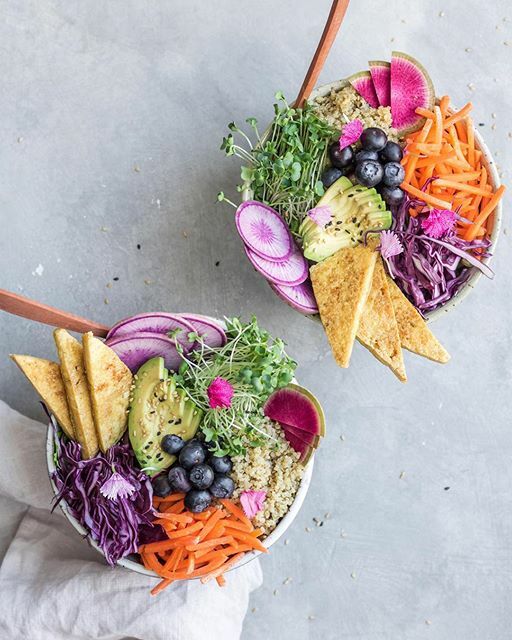 These buddha bowls are a great way to use up any extra veggies you have in your fridge. Top with leftover tahini sauce from a few nights back to finish off the dish. 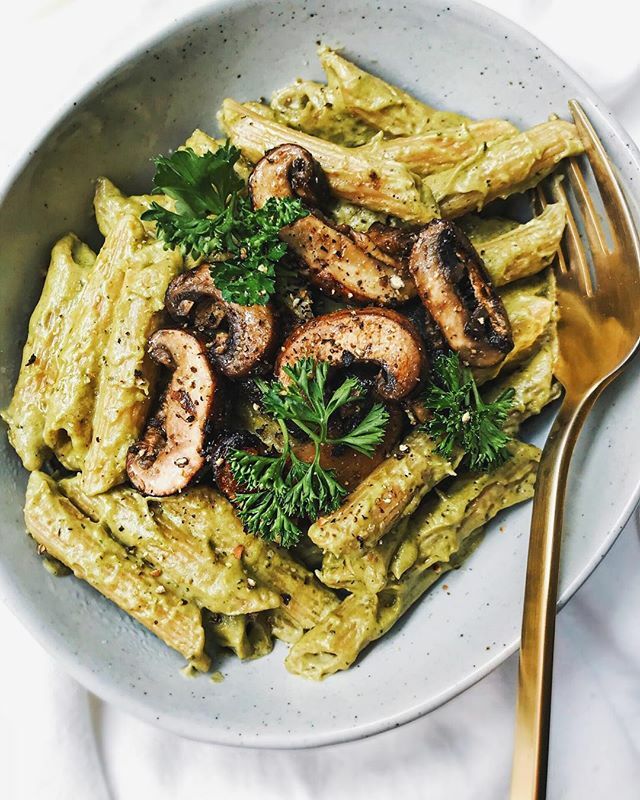 This pasta has a cashew and nutritional yeast based sauce that gets blended with sautéed mushrooms to achieve a creamy texture. Make double the mushrooms and reserve half to top pizza with over the weekend! Feedfeed Tip When making pasta with a cashew based sauce (or any creamy sauce), save some of the cooking water from the pasta. You can use it to thin the sauce, which can help it to adhere to your pasta. If you have time, we recommend making the pizza dough from scratch, but of course, store-bought dough would work just as well. 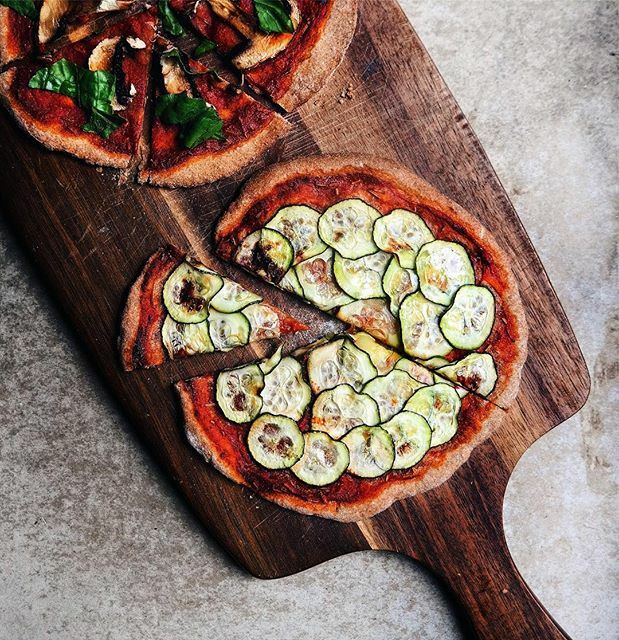 Take out the leftover mushrooms from last night, sauté some zucchini and get ready for pizza night!